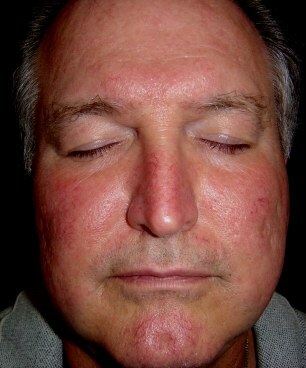 Rosacea, flushing, broken capilaries, and general redness of the face. 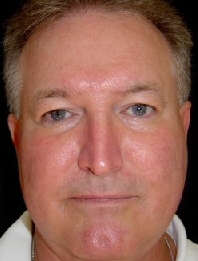 We treat rosacea and facial veins with the green laser light of the Gemini™ Laser. The oxyhemoglobin (red blood) in the blood vessels absorbs the light, heats up, and then coagulates. The blood vessels collapse and are eventually absorbed by the body. The laser is gentle; many patients feel virtually nothing up to the sensation of a hot pinprick for a fraction of a second. Copyright © 2005, 2006 Skin Renaissance Laser Center. All rights reserved.